Instagram TV is finally here. 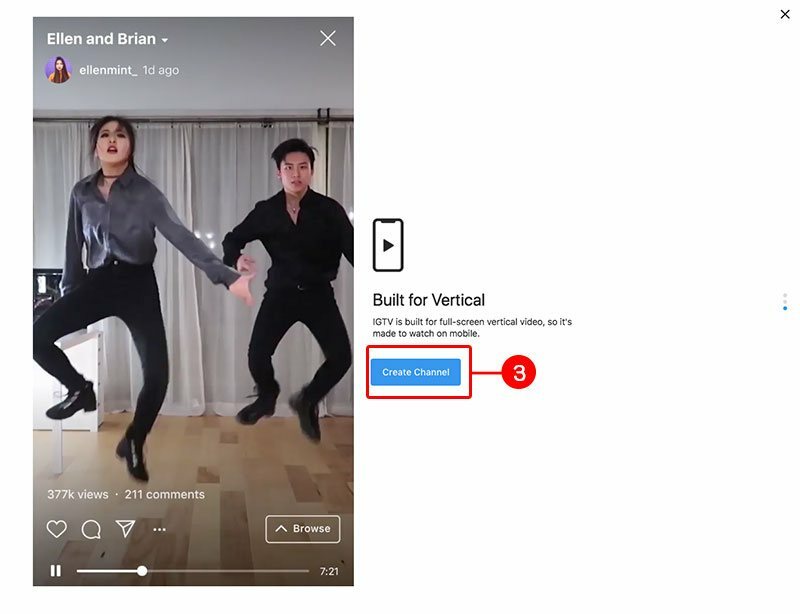 The long-awaited YouTube substitute for Instagram is live and public and the creators from all over the world can now start sharing long vertical videos on Instagram that can be 15 seconds to 60 minutes long. Click to watch the full announcement by the Instagram CEO Kevin Systrom. The service is a standalone app for iOS or Android that is built for users to fully utilize the functionalities for creating specifically for IGTV. 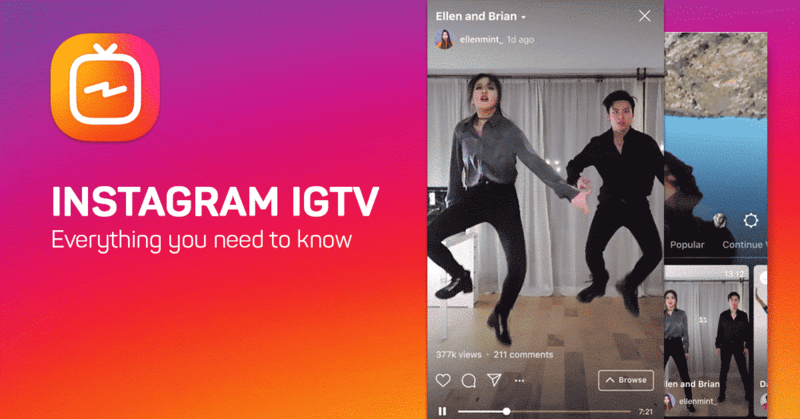 Instagram has nicely connected the two services with their native app, by allowing all the posts from IGTV to be distributed to the main Instagram app and to the user’s followers. The same as you will publish an Instagram post but is just on another app. 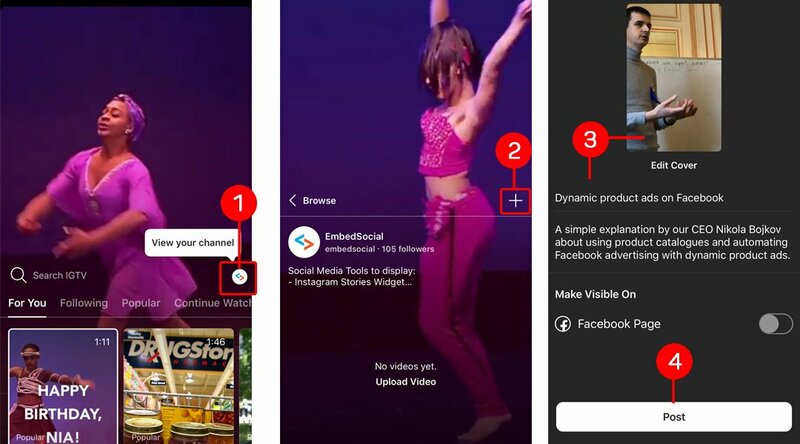 Or if you do not want to use another mobile app you can post your IGTV videos from the Instagram native app or your profile on the Instagram desktop version. In the following text, I will show you how to do the both, a post from mobile or upload the video from desktop. But before you start uploading your IGTV videos, please consider the requirements that you need to follow for the video to be suited for IGTV. All the details about the rules and specifications of your IGTV video can be found in the IGTV requirements help center. Note: Larger accounts and verified accounts can upload videos up to 60 minutes long, but they must be uploaded from a computer. Videos must be in MP4 file format. Videos should be vertical (not landscape) with a minimum aspect ratio of 4:5 and maximum of 9:16. The maximum file size for videos that are 10 minutes or less is 650MB. The maximum file size for videos up to 60 minutes is 5.4GB. Instagram is focused to provide the best experiences for everyone. That means videos that don’t follow the Instagram’s Community Guidelines may be removed from Instagram. If you see something that you think may violate our guidelines, you can report it. Try our Instagram Stories platform, fetch, manage and display your Instagram stories on any website with shoppable links. Embed Your Instagram Stories Now and engage with web visitors beyond the Instagram app. 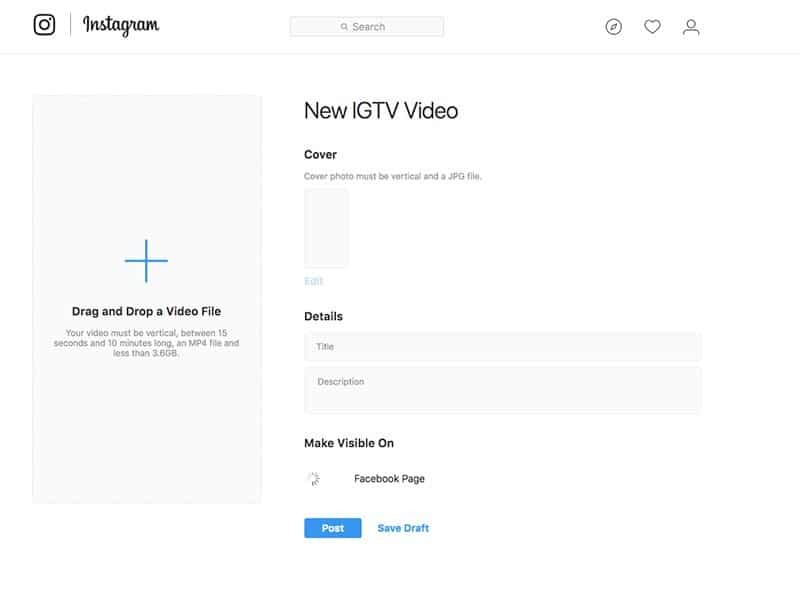 If your account has the option of creating IGTV, you will see it immediately once you log in to your Instagram account on a desktop. 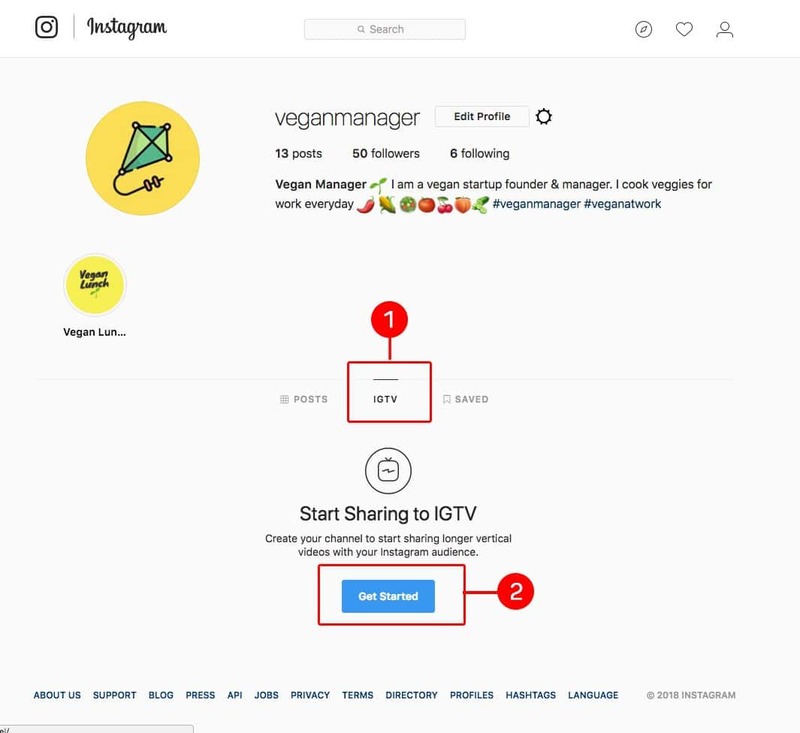 Once you’ve activated your channel, you will be able to upload your first long Instagram video. To do this, just go back on your profile page and in the IGTV tab click on the button Upload. After you perform this action, on the next screen you will be able to upload the video. Once you are ready, just click ‘Post’ and your video will be published in few minutes (this time depends on your video size and Internet upload speed). Also, you have the option to save it as a Draft and publish it later. As I mentioned above, Instagram has built a standalone IGTV app that is solely dedicated for publishing IGTV videos. You can also upload videos from the native Instagram app, which I believe is more easier for people who do not want to have another app on their phone. Please remember that for now the IGTV is built for the mobile. This means that in order to watch IGTV videos you need to have installed the Instagram iOS or Android app. 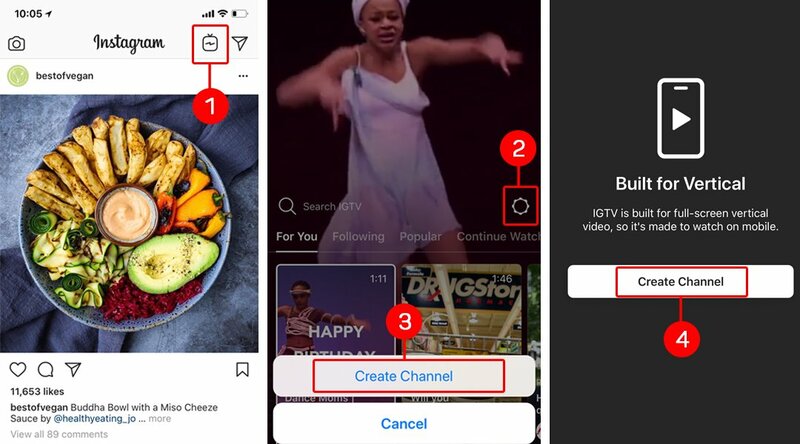 All users in the coming days will see a top right bar TV icon, that when clicked will open the IGTV section of the Instagram app. Please note that when some of your friends or users that you follow, post IGTV video, you will receive a notification like shown in the screenshot above. You can also like, comment and send videos to friends in Direct. I was totally blown away with this feature. Now you can basicly re-use the IGTV video and post it in your Instaram Stories making your story more rich and allowing your story viewers to get the IGTV content, too. 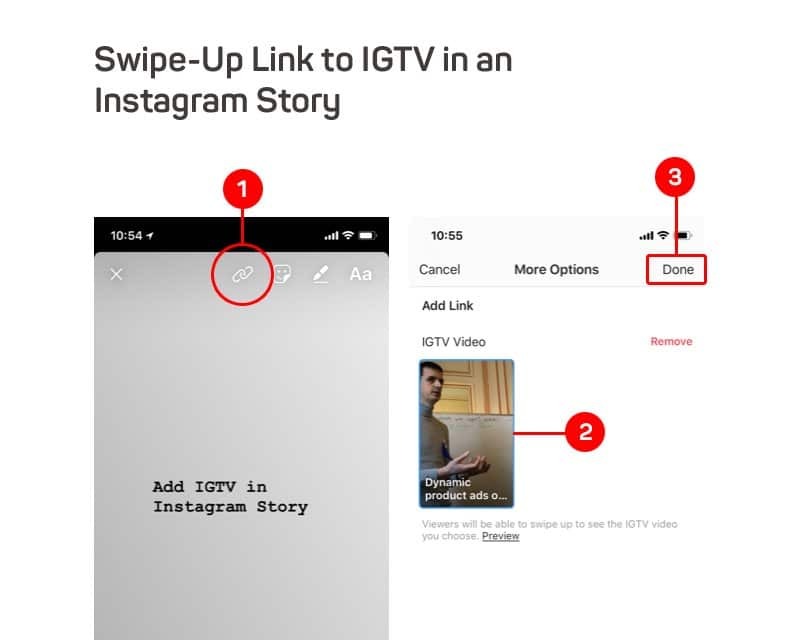 Once you do this above, your IGTV video link will appear as a Swipe up link in your Instagram Story, that when clicked will open the video. Hope this tutorial will help you to get started with IGTV, and feel free to share your thoughts in the comments below.